As widely expected, Scott Thompson has stepped down from his position as Yahoo CEO after it emerged he lied about qualifications on his CV. The online giant has confirmed the former boss has left the company and the board with immediate effect. Thompson will be replaced in the interim by Ron Levinsohn, who runs the company's global media department. Thompson's position has been in question all week over the presence of a computer science degree within his biography, which he had not earned. The now ex-CEO had apologised for the negative impact the row was having on the company, but it was not enough to save his job. 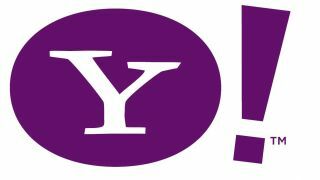 In a press release confirming the news, first reported by AllThingsD, Yahoo also confirmed that Fred Amoroso had been appointed as Chairman of the Board. The company also announced a settlement with the man who exposed Thompson's faux-pas, "activist shareholder" Daniel Loeb is also approaching. Thompson's demise comes just a few months after he replaced Carol Bartz as the head of the internet giant.